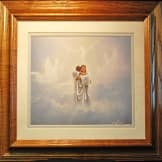 A comforting and inspiring representation of Christ welcoming someone into heaven. 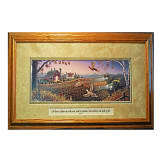 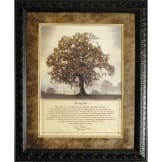 This thoughtful memorial gift comes in an elegant matting and high quality oak frame. • It is ready to hang complete with a dedication label for personalization on the back. 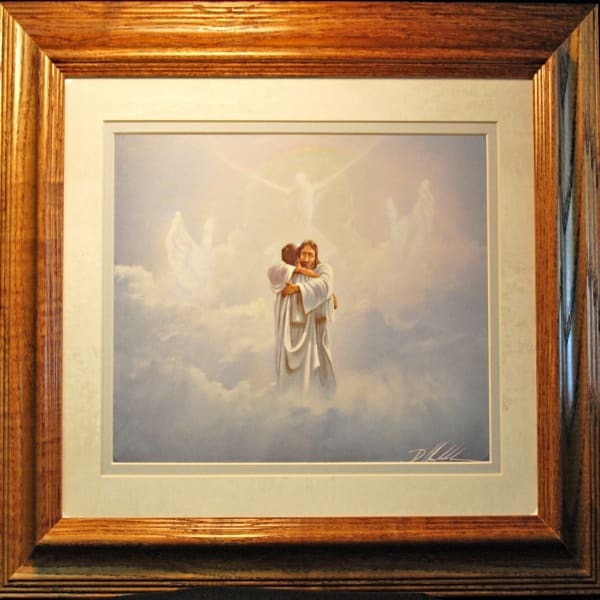 • A dedication label on the back of this framed art creates a special and unique way to memorialize a loved one.